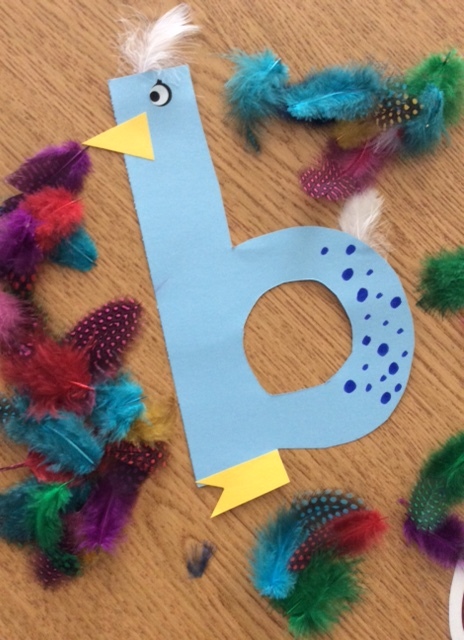 Last year we started on a quest to find new and creative updates for our Alphabet letter crafts and we think we’ve found a winner for b….b is a bird! Thanks again to Pinterest for the never-ending supply of cuteness. Probably the best way to describe this week was rockin’. We had such a busy week and the children did so well, demonstrating a lot of flexibility, patience, a “go with the flow” attitude that made each day very enjoyable despite the continual interruptions to our usual routine. 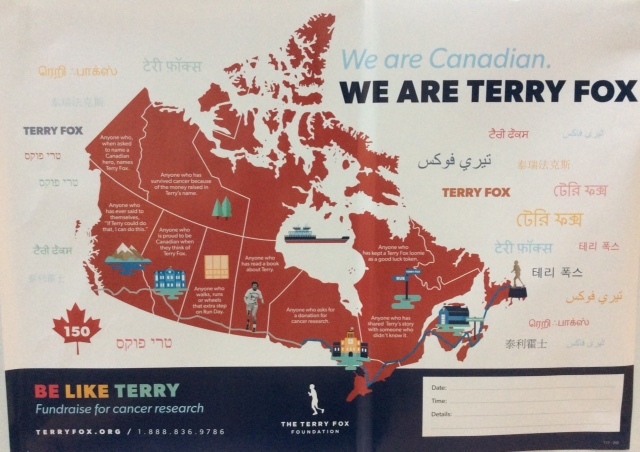 Tuesday was our first Primary Terry Fox Assembly, organised by the Grade 1-3 teachers. The Kindergarten was invited to join the rest of the Primary students to listen to a presentation and watch a short video about our Canadian Hero,Terry Fox. The Grade 2s also sang a Terry Fox song and invited us all to join in. We learned a great deal in our short time together to ready us for Thursday’s big run. All Ridgeview Primary students completed their Physical Literacy assessment which is simply a baseline of information on the children’s physical skill levels, including running (stopping, pivot, run back), hopping (on one leg, then the other), kicking a ball and throwing (overhand). We were pleased with the children’s excellent listening and ability to quickly follow instructions from our Physical Literacy Specialists, West Vancouver Teacher Mentor Amber Wilson and Mentor Erin Crawford. The children will be re-assessed in the Spring to celebrate their personal achievements. We are pleased to welcome Ms. Amanda Sanford who will be teaching Primary Music at Ridgeview. Our children attend Music class twice a week, on Wednesdays and Fridays, with Ms. Sanford in the Music Portable. The children are really enjoying the stories and book exchange during Library. It’s very important our classes get into the good habit of returning their Library books on time. We recognise this is a new routine and appreciate your support in helping your child to remember to pack his or her book the night before. We encourage you to send the book back for Tuesday to give yourself one day’s grace in case you forget. We could not have asked for better weather for the Terry Fox Run on Thursday. What a glorious day, blue skies and a sea of children in red and white running for a very important cause. The Kindergarten children had a “meet and greet” with their Grade 7 Buddies and completed their warm-up on the sport court led by Mr. Meldrum. Then, we all walked down to the gravel field to run or walk two laps with our Buddies. The children ran like champions and still looked quite fresh as they were finishing their laps. Our Grade 7s left us at the playground while they went for their neighbourhood run. We all met up on the playground for a few final remarks by our organising teacher, Ridgeview Vice-Principal Mr. Parslow. It was a bit of a hit and miss this week to the introduction of Hot Lunch at school. 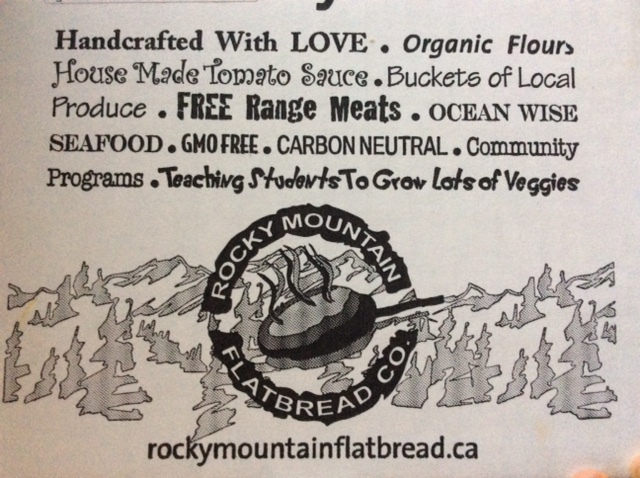 -having personally eaten this pizza at school and in the restaurant, we can definitely say two thumbs up! -the pizza boxes must go home. Please do not recycle them at school. Raincoats and boots. Too many children did not have a raincoat during Friday’s downpour. Although we had a few “loaner” jackets, we did not have enough for everyone. Please bring an extra raincoat to school that you can leave in the cloakroom with the weather being so unpredictable. October Homework Calendars were sent home this week. Please send back your September Homework Calendar (even if it’s not totally finished) next week for a sticker. Scholastic Orders for October were also sent home. Please have your order form returned to school by Friday, October 13. Wednesday is our first Buddy Day in class. We’re making a fun Thanksgiving craft!